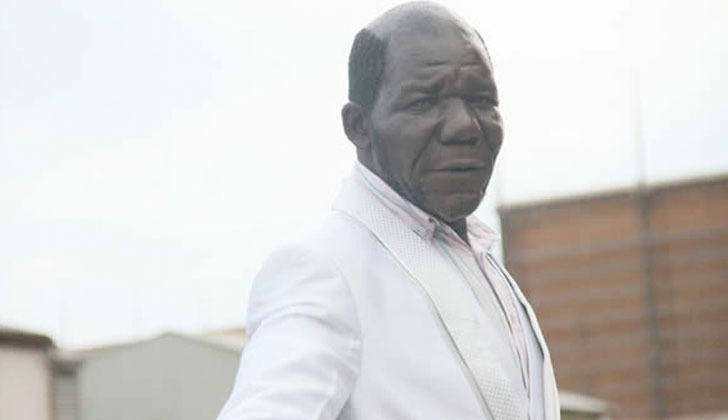 HARARE - William Masvinu, 43, who landed his third Mr Ugly contest crown in December before being dethroned for allegedly manhandling the pageant's sponsor, has filed a police report in a bid to get the prize money he is still owed. Masvinu, who denies that he assaulted Isaac Mutangadura, whose Ruwa-based Mtangaz Hideout hosted the Mr Ugly contest in December last year, wants Mr Ugly organiser and founder David "Apama Styles" Machowa to pay the outstanding $400. "After the contest, I repeatedly inquired about the $500 prize money but I only got excuse after excuse. Despite this, I still remained patient. Later on I received only $100," Masvinu told the Daily News. Epworth-based Masvinu, who has since been replaced by first runner-up Fanuel Musekiwa, 61, told the Daily News that Apama's claims that he assaulted Mutangadura were ploy to deny him the prize money. "Ndakazonzwa avekuti Masvinu akandibata collar. Asi hapana pandakamubata collar. Ndobva ndanzwa kuti Masvinu tamu bhana haachacontester for life. Asi kana vakadya mari ngavataure. (I was accused of manhandling the sponsor. Then the next thing I heard that I had been banned for life. But it was all an effort to cover up for the prize money that had been embezzled," he said. Efforts to get a comment from Apama Styles were fruitless yesterday. But in an earlier interview with the Daily News he insisted that Masvinu, who was also victorious in the same contest in 2012 and 2013, was in the wrong. "Instead of him (Masvinu) dealing with me concerning his winning prize, he went behind my back and manhandled the sponsor. We, therefore, had no choice but to dethrone him for dragging the name of the pageant into the mud." Apama Styles added that the decision to dethrone Masvinu was arrived at after taking into consideration the fact that he has "repeatedly exhibited" violent tendencies at the Mr Ugly pageant over the years. "This is not the first time Masvinu has engaged in violent activities at Mr Ugly. He once threatened another former sponsor — Devine Assignments director Biggie Chinoperekwei - over the same issue and for this reason we have to part ways with him," Mr Ugly founder said then.